A new report from Royal LePage suggests many Americans who oppose incoming president Donald Trump continue showing a desire to purchase property in Canada. For all of November, says Royal LePage, U.S. traffic to its site grew 73.7 per cent year-over-year compared to the same period in 2015 and rose 40.9 per cent annually in the fourth quarter. During that three-month period, the report says American interest in real estate was primarily focused on Canada’s largest markets, with Ontario, B.C. and Quebec receiving 72.7 per cent of all U.S. regional page views on royallepage.ca. Three-quarters of the American inquiries concerned residential properties. Royal Lepage also says that in a survey of 1,226 of its real estate advisers between Jan. 12-17, 39.5 per cent say they expect U.S. interest in Canadian real estate to keep climbing under a Trump presidency. 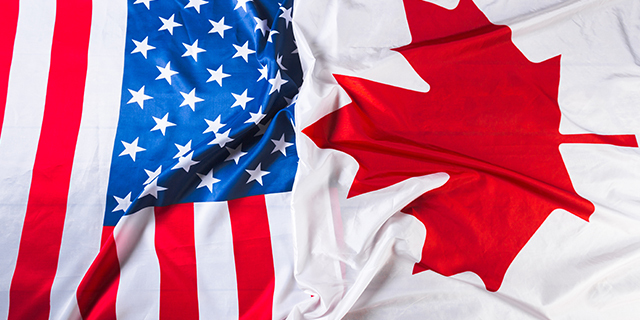 “The United States was already a top source for immigration into Canada, and now in the period following the recent U.S. election, we are witnessing a material bump in American interest in Canadian real estate,” said Royal LePage president and CEO Phil Soper. Many Americans began looking north last year as Trump inched closer to the White House, as illustrated by a huge spike in web traffic on Canada’s citizenship and immigration website. The site crashed on Nov. 8 as results from the presidential election rolled in. Immigration, Refugees and Citizenship Canada said there were more than 200,000 users accessing its website around 11 p.m. on election night and American IP addresses accounted for about half of that figure. At the same time the previous week, the website saw just over 17,000 users.